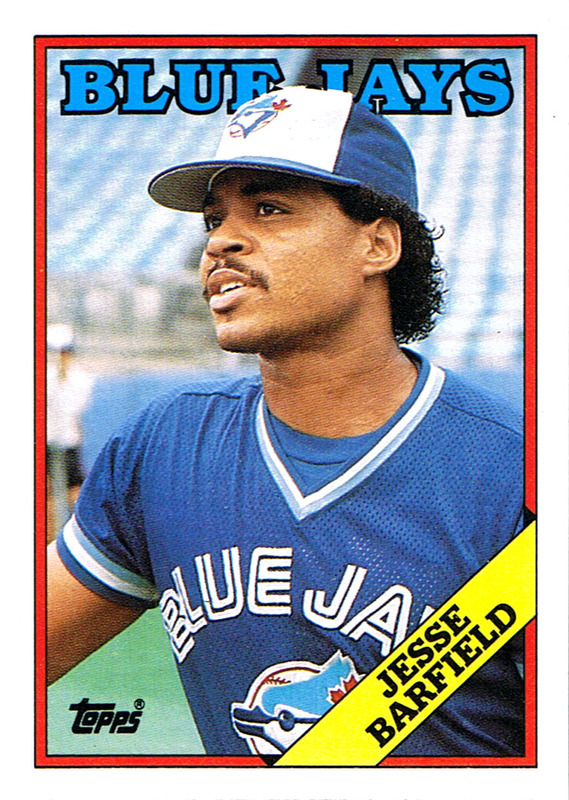 Jesse Barfield was a key member of our awesome mid-80s outfield. He was a great slugger back in an era when 27 homers meant something. He was also the first Blue Jay to hit 40 dingers which led the league back in 1986. Jesse hit for power, but my favourite Barfield moments were when he'd gun players down at the plate. Only fools tested his cannon-like arm. On more than one occasion I saw him throw a strike to home plate from his perch in right field. Barfield was a great Blue Jay who was eventually traded for Al Leiter. Leiter, you will recall, battled blisters for years until he blossomed into an awesome starter, making this a pretty sweet trade for the Jays. Didn't Al Leiter leave as a free agent just after he recovered from those blisters? True, but not before he played a key role in World Series victory #2. Woo hoo Jessie!! COuld throw a strike to the plate from right field! Video of Barfield's cannon for an arm.